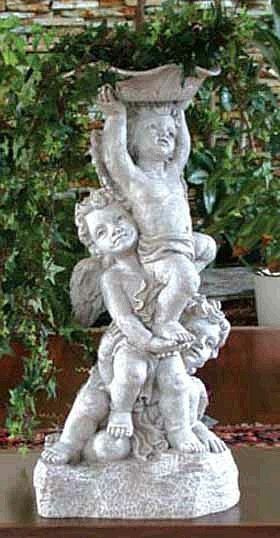 Our charming cherub sculptures add a delightful addition to the garden and features three young cherubs happily holding up a bird feeder to welcome your feathered friends. Also serves well for holding up some plants in its shallow feeder. Made of resin with marble aggregates.